Two City solicitors struck off following a rare private prosecution before the Solicitors Disciplinary Tribunal (SDT) have won a High Court battle that gives them a second chance to fight the allegations against them. The case of Andrew Shaw and Craig Turnbull will now be reheard by a fresh tribunal after the strike-offs were overturned, although findings were made against them. Mr Shaw was a partner and Mr Turnbull a solicitor at Stewarts Law, who were taken to the SDT by a businessman who had been on the receiving end of litigation brought by a client of the firm and then made a variety of accusations over the way they had conducted it. Mr Justice Jay allowed the appeal by Mr Shaw and Mr Turnbull, and overturned their strike-offs. Describing it as an “extremely complex” case, he dismissed most of their criticisms of the SDT ruling, but said that in relation to many of the findings made against the pair, the SDT had failed to set out properly its reasons and reasoning process. However, he upheld a finding of dishonesty in relation to an affidavit and of a “less serious” breach of the code of conduct relating to the misuse of confidential information. The judge was unable to say with sufficient certainty that the pair would have been struck off on the basis of those remaining findings alone, as there have been examples of solicitors not being sanctioned in that way despite findings of dishonesty. As a result, he remitted the case to a freshly constituted SDT to re-determine the issue of sanction in relation to the findings that were upheld, and conduct a rehearing of the other allegations where the appeal succeeded. 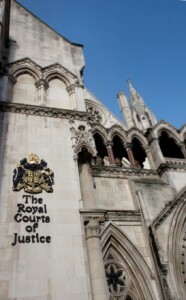 He stated that it will be a de novo hearing – at which the solicitors may adduce any evidence they wish, save that they “cannot seek to adduce evidence whose purpose is to undermine the previous SDT’s findings of fact on the anterior question of dishonesty”.